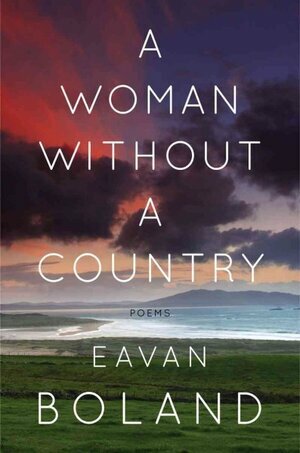 A Woman Without a Country is a collection in four parts: “Song and Error,” “A Woman Without a Country,” “The Trials of Our Faith,” and “Edge of Empire.” It feels curated with the ease of old habit, a sequence that feels inevitable in its elegance and grace. Of course a poem breaking down the etymology of the word “nostalgia” will lead to a poem featuring Greek myth; of course that poem will pour itself into Roman Ovid. When I speak of inevitability, I don’t mean predictability; I mean that structure of limb and likeness that takes hold of our gaze and makes us follow a line of marble statues, marvelling at the hand that broke them out of stone. Here’s an excerpt from “Letter to a young woman poet,” mentioned towards the end of the review. She’s amazing. This entry was posted in Uncategorized and tagged eavan boland, npr, poetry, review. Bookmark the permalink.